Coaster Pagers are ideal for restaurant customers waiting to be seated. Coasters can be programmed to flash, vibrate, beep or otherwise page your customers with any combination of these three signals. Our coasters are foolproof, and can’t be accidentally shut off. Plus, coasters come with an “autolocate” feature, as well as an “out of range” tone. ​Coaster Charge w/ ac adapter. 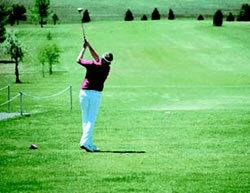 ​Great for golfers waiting to tee off ! 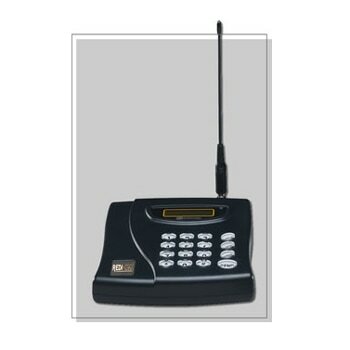 ​Paddle Pagers are ideal for restaurant customers waiting to be seated. The Paddle holds advertising messages or paging instructions, and the Paddle's size makes it hard for the customer to put it out of sight in a coat or pants pocket, they will tend to hold it or keep it in plain sight ready to respond to the page immediately. Our Paddle Pagers are foolproof, and can't be shut off. The Transmitter can sit on a counter, or mount on wall using built-in wall-mount bracket. 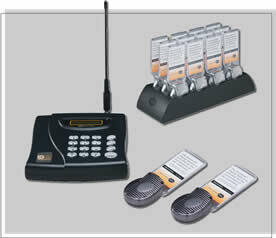 ​Patrons receive pager so they can enjoy the waiting time until called by a tone or vibration. 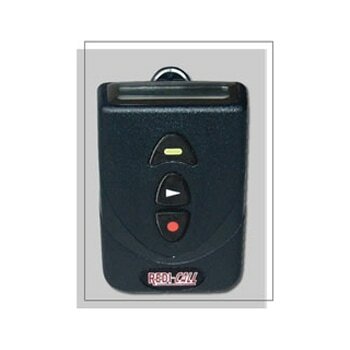 High quality UHF signaling format has a range of up to 2 miles, and it works even in difficult building environments such as within concrete and steel walls. 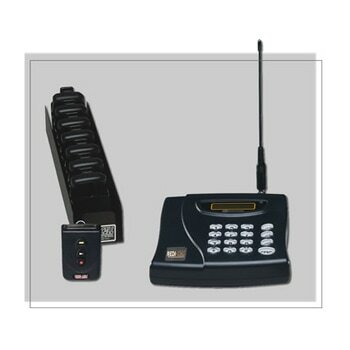 Can handle any number of Pagers up to9,999 without any modifications. 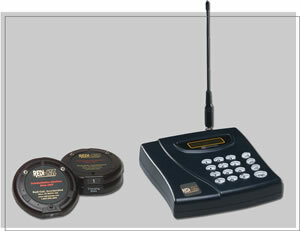 Pagers can be set by the user to vibrate (silent operation) or sound a BEEP tone. Numeric messages can be easily sent to the Pagers, for example 222 means go to the kitchen, 444 means go to the bar. Factory can program pager with up to four messages such as "See Manager"
"All off" code can be sent to pagers to increase battery life! Our most economical unit, very affordable. Data Page Terminal , antenna and AC Adapter. For wall mount order TD-WMB bracket below & specify "wall mount"
Waiter Call 14 is a 14-Station Transmitter that signals the PD-2012 Pagers with either a single, double or triple page at the touch of a button. The moisture resistant surface has a write-on & wipe-off area to enter numbers or names for each station with grease pencil supplied. 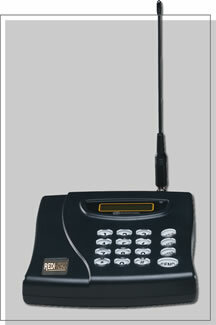 Order any number of Pagers to suit your needs up to a maximum of (14). ​Waiter Call Transmitter, 14-station, antenna, power supply, grease pencil, sits on counter. For wall mount, order bracket and straight antenna below and specify: "wall mount"
​In addition to our standard Hard-Wired Paging Systems shown on another page, we also make Special Hard-Wired Paging Systems for Social Security Offices and for many other applications as well. 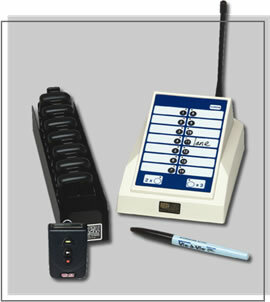 ​All of our Hard-Wired Paging Systems run on safe, low voltage and are built using the highest quality components for years of trouble-free operation. Call or write us with your special requirements; we will be happy to give you a quotation. 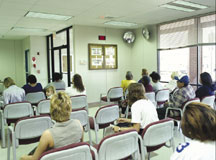 Are claimants waiting too long for service? Do Claim Reps have trouble communicating with your receptionist regarding their appointments? Click here to see diagrams, operation explanations and cost. ​We can make systems for pharmacies, offices, banks, and many other applications. The following are some examples of special systems we have built. 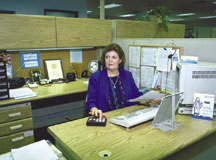 Please give our customer service department a call to discuss your needs. 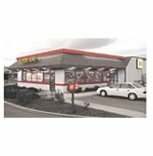 ​by market leaders like Burger King and Hardee's. Do you want to reduce customer waiting time? Do you want to serve the freshest, most appealing food, at all hours? Do you want to control food waste? Only Redi-Call's Food Production Control System is up to the task. A proven product and proven value in use around the world for over 20 years, by market leaders like Burger King and Hardee's. Manager selects desired production level. Number Panel visible to entire cooking staff, displays production level. Optional Drive-Thru Switch calls manager for assistance without leaving station. 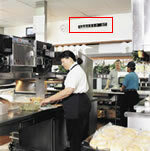 A visual paging system that allows the restaurant manager to communicate the desired level of output at each cooking station to the kitchen staff. #1 is the lowest level of production, "P" is the peak level or highest level of production. 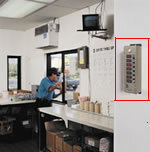 The Drive-Thru Control Switch allows the drive-thru person to call the manager for assistance without leaving the station. A door Chime calls attention to the lighting of a new number. Typically, each cooking station has a chart that lists the minimum quantity in the holding bin. When the minimum is reached (say, 6 small fries for level #4 ), then more product is cooked and placed in the holding box. Mount on wall at eye level in convenient location for manager, 32-ft. cable. Mount on wall near ceiling; must be visible by entire cooking staff. Mount next to Number Panel; calls attention to lighting of a new number, 10-ft. cable. Mount next to Drive-Thru window so cashier can call manager, 35-ft. cable. ​Manager Control Switch Panel only, lighted rocker switch, wall-mount, 10.5" x 3" x 3"
​Number Panel only, quick-connect cable, wall-mount, 24" x 3" x 3"
​Drive-Thru Control Switch only, w/ 35-ft. cable, 4.5" x 3" x 2"
Chime only, w/10-ft. cable, 7" x 5" x 2"
​These easy to order systems give you everything you need for a basic five or ten station paging system. These systems are "value priced" so no substitutions are allowed; however you can order additional components to add to the system if desired. 5KR Switch Panel; H5 (or V5) No. Panel; 40-ft #15CSL Output Cable, 40W Transformer & CH100 Chime. 10KR Switch Panel; H10 (or V10) Number Panel; 40-ft #110CSL Output Cable; 40W Transformer & CH100 Chime. "Dealer Display Board" 24" x 24"
​These systems are offered in models with 5-lights to 50-lights and even more on custom systems. Each switch & light corresponds to a wait-staff server, so order the size system that will accommodate the maximum number of servers on duty at any one time. A Switch Panel goes in the kitchen for the chef, the Number Panels go in the dining room for the servers to see, and a cable must be run from the Switch Panel to the Number Panel. 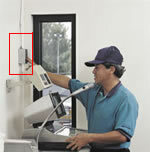 ​These systems run on a safe, low voltage (12 volts); so wires can be run simply inside walls or in drop-ceiling areas. Conduit is not required in most states and countries. Quick-disconnect connectors are provided on all cables for easy & fast hook-up; an electrician is usually not required. 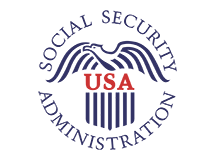 Give us a call to determine which product will ensure that your team is ready!